We're heading to the Alresford Agricultural Show this Saturday and we're really looking forward to it. This historic show in the beautiful surroundings of Tichborne Park is a seriously fun family day out. As well as loads of livestock to look at, live action from the pig race track, rural crafts to try and plenty of delicious food and drink, you'll also be able to take a tour around our beautifully restored Tasker's Shepherd's Hut. 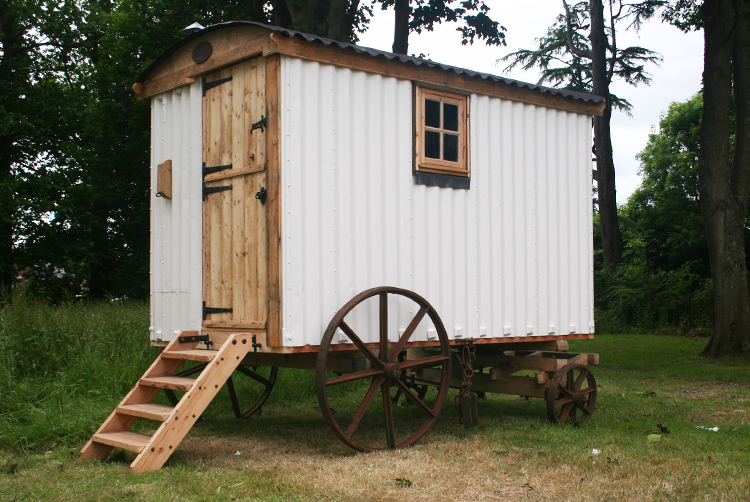 We'll be taking it and plenty of our handcrafted Mini Shepherd's Huts along to the show to sell (it's a good time to kickstart your Christmas shopping after all). If you're planning on coming along to the Alresford Show, make sure you pop along to the Fourpenny Workshop stand. We might even have our lovely Brittany Griffon dog, Fleur with us (though we haven't managed to persuade her to take part in the dog show yet).